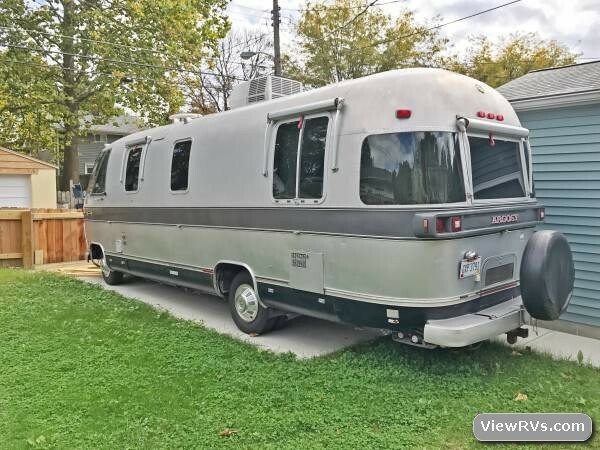 1975 Argosy 26' Motorhome Exhibit "D"
This 1975 Argosy motorhome which was made by Airstream has been painted grey to resemble an Airstream motorhome. 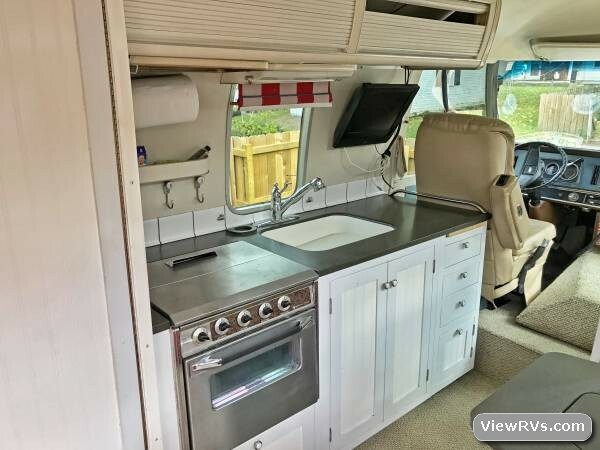 When it was for sale in early 2017, it had been updated and was advertised as having all pumps and water working, a newer generator, a newer refrigerator, 2 flat screen tv's and newer striped awnings. 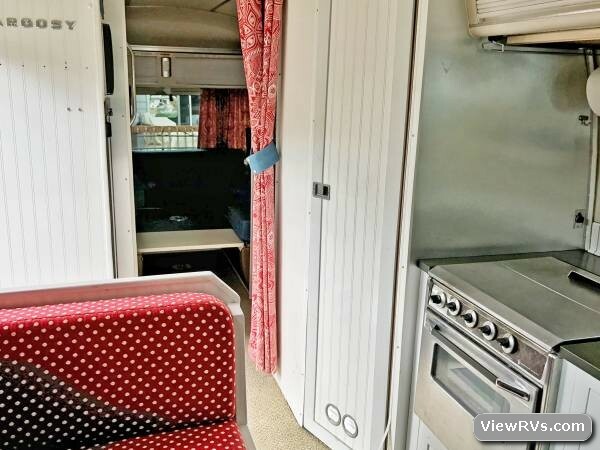 Notice the back area of the unit which can be used as a seating area during the day and then converted to a large bed for the evening. 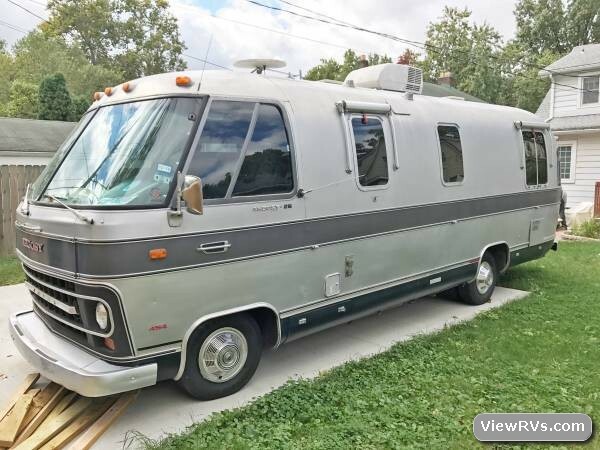 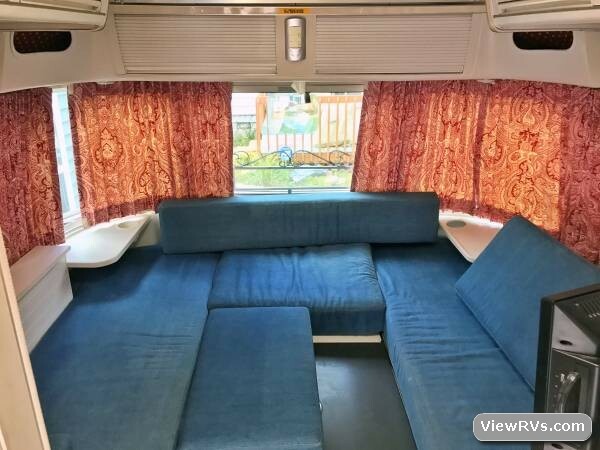 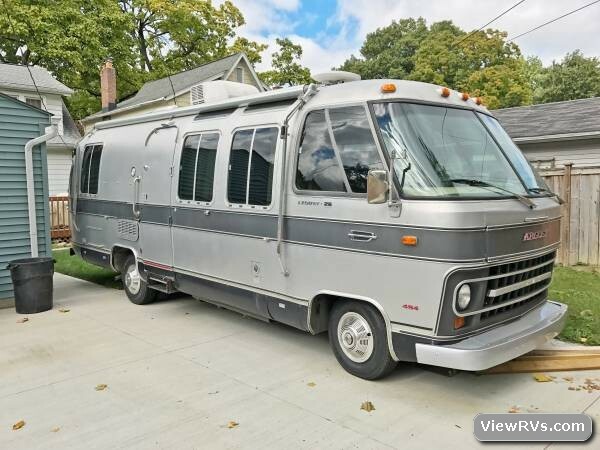 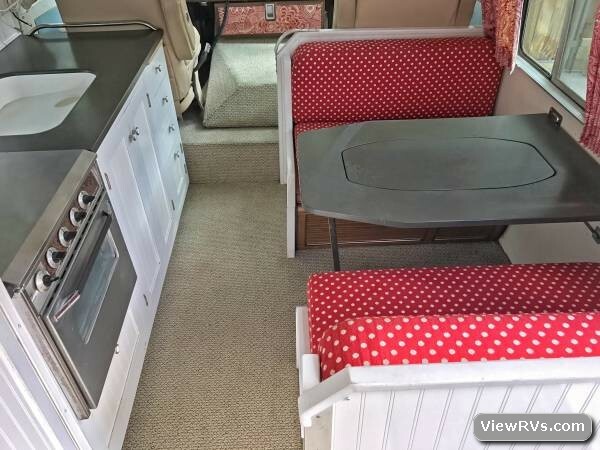 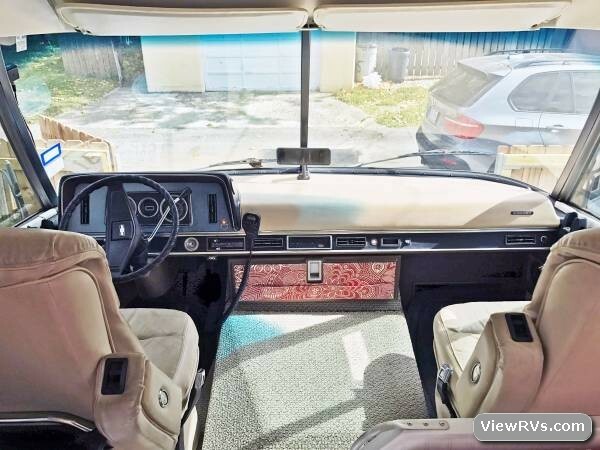 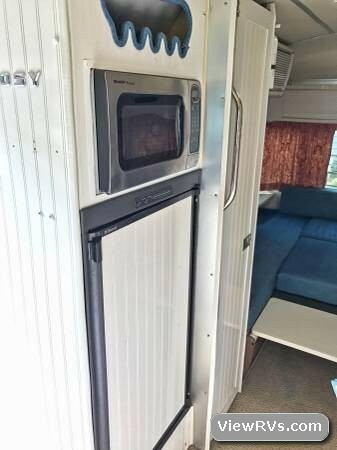 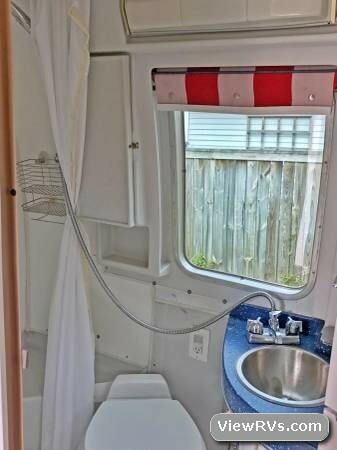 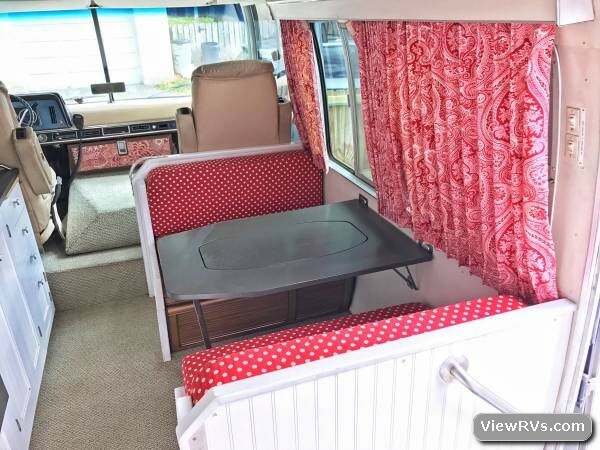 This vintage Argosy motorhome has the a rare center bathroom and is 26 feet.